Joe Profit (born August 13, 1949) is a former American football running back with the Atlanta Falcons in the National Football League (NFL). He spent two seasons, plus part of a third, on the Atlanta Falcons before moving to the New Orleans Saints. He was selected in the first round with the seventh overall pick in the 1971 NFL Draft. In his three seasons in the NFL, he rushed 133 times for 471 yards and three touchdowns. He spent the 1974 season with the Birmingham Americans and 1975 with the Birmingham Vulcans, both of the World Football League. He played college football at Northeast Louisiana University. Joseph Profit was one of nine children born to Simon and Ethel Profit in one of the poorest area in America, Lake Providence, Louisiana. He graduated from Richwood High School in Monroe, Louisiana and, afterwards, briefly attended Alcorn State before transferring to University of louisiana,Monroe]]. Profit “only played three (football) games as a high school senior.” [] In those three games, though, he managed to score seven touchdowns! With such success, he received scholarship offers from various schools, including Grambling, Southern and Alcorn. Profit chose Alcorn State. However, due to various reasons, Profit left Alcorn with his sights on the University of Louisiana-Monroe (ULM). While attending ULM, Profit “became the first black athlete to play football in the Gulf States Conference”  (presently known as the Sunbelt Conference). He was the Conference’s all-time rushing champion with 2,818 yards, 538 carries and he set 10 school records, including most yards in a game. Unanimously, he was chosen as a member of the All–Sunbelt Conference team three years in a row and the Associated Press’ first team All-American. He was, also, named Most Outstanding Running Back in the Senior Bowl and was invited to play in the North-South Shrine Game. According to Atlanta’s Journal Sports Writer, Van Scott, during Profit’s collegiate career, he scored 19 rushing touchdowns and, at one time, placed 27th in the NCAA College Division rushing statistics. Profit was the first athlete to have his number retired in the school’s history. Profit was drafted in the first round of the 1971 NFL draft by the Atlanta Falcons. He was the first running back in Atlanta Falcons’ history to ever rush for 169 yards on 21 carries and two touchdowns in a single game! NFL Hall of Famer, Norm Van Brocklin, said “Joe was the best running back in the United States of America”  At the time, Joe was the single longest hold out in contract negotiations in Falcon’s history and the first running back to receive a multi-year six figure contract. After two years with the Falcons, Profit he was traded to the New Orleans Saints. In 1975, he signed with the Birmingham Americans in the World Football League (WFL), where he scored the first touchdown in the league. In addition, Profit is founder and CEO of Communications International Inc., a telecommunications company. (CII). In 1991, CII was the first minority-owned firm to secure a multi-million dollar contract to help in the reconstruction of the war-damaged country of Kuwait. 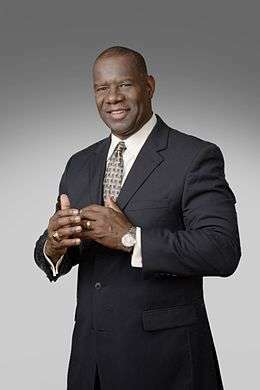 Presently, Profit serves as President and CEO of Multimedia Digital Broadcast Corporation (MDBC). Founded in 2007, MDBC is a technology and marketing company that provides entertainment and information through a digital media delivery platform. The company specializes in a Proprietary Internet Protocol Television (IPTV) and broadband technologies. It, also, provides marketing, branding, advertising, strategic services and digital broadband content delivery services. Through Profit’s business endeavors, he has contributed to the nation’s economic engine by providing over 800 jobs in 37 states and nine countries. Profit is the author of “Fields of Success - Raised Expectations.”  It is a biography written to inspire others, especially our youths. For the past ten years, Profit has dedicated a great deal of his time focusing on his national Youth United for Prosperity, (YUP) . YUP is dedicated to exploring, igniting and developing the interests of the next generation of leaders. Legends & Kids®” is a series of literacy workshops in cooperation with public and private schools systems across the nation. The purpose of this program is to enhance creativity through the art of writing and to stir the imagination of the students in order to build creative literacy. The primary goal of the Legends & Kids™ program is to create an innovative and holistic approach to success in developing our youth’s talent and skills as a vehicle for building their self-esteem and life style. The programs develop unique families by promoting self-sufficiency in building vital and safe neighborhoods. Profit married his first wife, Deborah Robinson, in 1971 and had four children from that union. In 2008 he married his second wife, Wanda. Presently, Profit and his wife reside in Atlanta, Georgia. Profit has received numerous awards, including the Granville T. Woods Award for outstanding CEO in 1983 and Entrepreneur of the Year by Ernest & Young in 1985. He was inducted into the Business and Professional Hall of Fame in 1981 and the Louisiana Sports Hall of Fame in 1985. Also, he has served on the Peach Bowl Committee, the Black College Football Hall of Fame Committee in 1999,  the Board of Trustees Georgia Piedmont Technical College (Retired) and the Board of Trustees University of Louisiana Monroe (Retired). In addition, Profit has served two sitting Presidents of the United States, President Ronald Reagan and President George H. Bush, when he was appointed to the Federal Communications Commission Small Business Advisory Committee (FCC), the International Trade Board Subcommittee for Policy, International Trade Board Subcommittee for Policy, Federal Reserve Board, the White House Small Business Advisory Committee, and the U.S. Department of Transportation Advisory Board. ↑ "A Clutch Receiver Profit Can Fly". Ron Hudspeth. The Atlanta Journal.